Part of an AHRC-funded 'Artist as Leader' research programme, notions of the artist as a cultural leader are discussed within the framework of their significant role as social entrepreneurs and catalysts for cultural change. With contributions from Linda Frye Burnham, Reiko Goto, Francis McKee and Tim Nunn, the research asks: can artists offer something different to the issue of leadership? 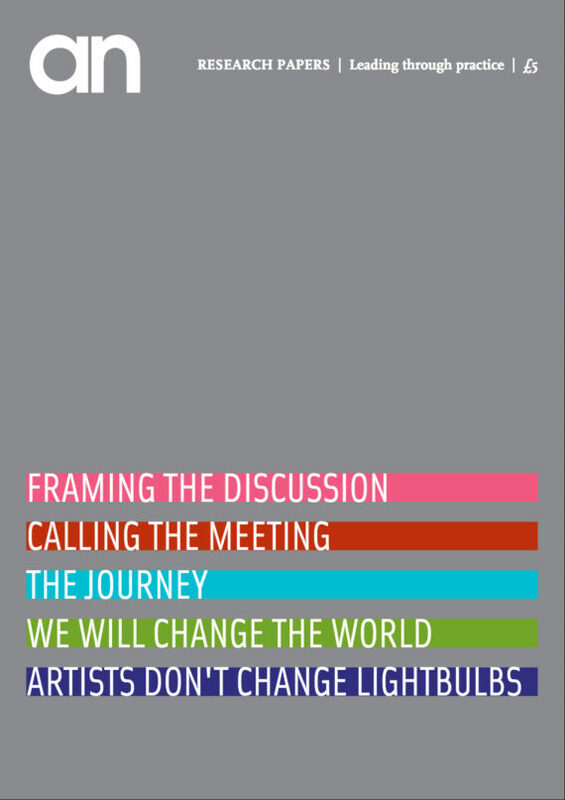 Introductory essay provides a contextual summary of notions of leadership, setting out a “typology of issues” around the question of the artist as leader.